Joel’s episode on Watch What Happens Live aired yesterday. 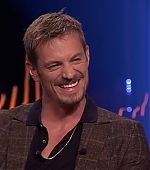 There are no clips from his interview yet, but you can check out our gallery for some high-quality photos of Joel arriving at and inside the studios! Joel stopped by the Good Morning America studios yesterday to promote Altered Carbon. 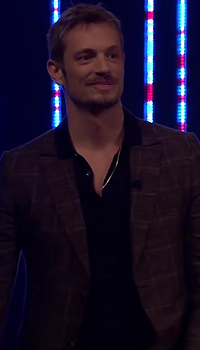 Check out the short interview below, and screen captures in the gallery! Joel appeared in last night’s episode of The Late Show with Stephen Colbert to promote Altered Carbon. 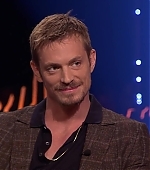 He also talked about being schoolmates with Alexander Skarsgård and Noomi Rapace, immortality, and more. 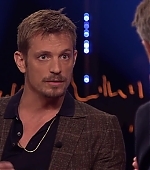 Check out the interview below, and screen captures in our gallery! 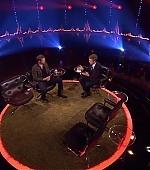 Joel’s filmed appearance on the European talk show, Skavlan, has aired, still as part of Altered Carbon promotion. Along with the show’s plot, he discussed the #MeToo campaign, getting married with Cleo, and the condition he used to have and the surgery he had to go through. Check out the full interview below, and screen captures in our gallery! Joel appeared in yesterday’s episode of Live with Kelly and Ryan as part of the promotion for Altered Carbon. He discussed about the show and how he got close to being cast as Thor. Check out his interview below!